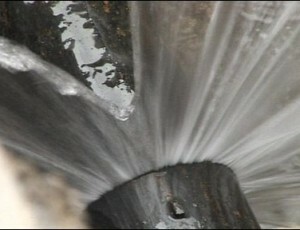 New Jersey pond and waterfall leak repair can be made easily and inexpensively. As Spring unfolds and we all get our NJ ponds, water gardens, and waterfalls up and running again many pond and water feature owners will experience leak issues. Pond and waterfall leaking can be due to various factors including winter conditions taking their toll, algae build up and algae blooms during early Spring, or damaged equipment are some of the most obvious causes for New Jersey pond and waterfall leaking to occur. Some simple steps to diagnose leaking can be taken such as looking for wet areas around the pond or waterfall, checking connections on plumbing and equipment for signs of leaking, or monitoring water levels over several days and looking for holes or tears in the pond liner. The best and fastest way to eliminate leaking issues in New Jersey ponds, water gardens, and waterfalls is to contact your local pond professional. Your local New Jersey pond professional is trained and experienced at diagnosing and repairing leak issues in all type of water features. Your local pond pro can perform a leak diagnosis and often times repair the leak issue within one visit, or put together the plan to repair your pond or waterfall should the leak issues be due to more extensive problems. Full Service Aquatics, your local pond and water feature professionals, can make an on-site visit to your pond or water feature and repair any leak issues you may be experiencing; often times on the first visit. Contact Full Service Aquatics today to schedule your quick and easy New Jersey pond and waterfall leak repair to start enjoying your pond season right away. Full Service Aquatics is an award winning nationally recognized team of pond professionals looking forward to meeting you soon. Contact Full Service Aquatics at 908.277.6000 or visit their website www.fullserviceaquatics.com to schedule your service. Full Service Aquatics offers every type of pond service for New Jersey residents. 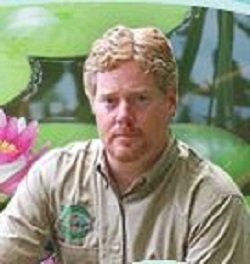 Design and installation of koi ponds, water gardens, waterfalls, and water features. NJ pond maintenance, NJ pond cleaning, New Jersey pond renovations, New Jersey pond repair, NJ aquatic plant installation, NJ water quality improvement, New Jersey pond fish and koi fish, New Jersey pond dredging. NJ pond predator solutions. The team at FSA looks forward to working with you!